“Alice the camel had five humps; Alice the camel had five humps; Alice the camel had five humps; so go, Alice go! And we got up (or should that be down?) to about minus nineteen humps before the song began to peter-out. So, what would a camel with minus nineteen humps look like? Well, if each hump is an extra lump on its back, then surely a negative hump is a bit taken away from its back. So Alice the camel has a back with nineteen rather large indentations in it. Is there anything of her left? 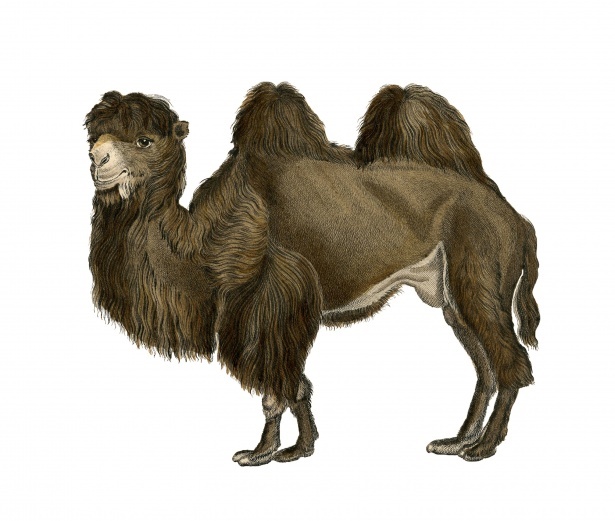 Clearly, we don’t see many negatively-humped camels around, but we can get negative numbers of things in physics. A good example is a “hole” in solid-state physics. Here, a “hole” is a way of describing the absence of an electron where we might otherwise expect one. A hole, in that sense, isn’t a real thing – it’s the lack of a real thing. But we can (and do) talk about holes as if they were real. For example, holes can move. That’s why a p-type semiconductor conducts electricity. Imagine a gap where an electron should be, but isn’t. A nearby electron could move to fill that gap. But that would leave a gap somewhere else. Another electron could move to fill that gap. And so forth. So the gap (the “hole”) is moving. There’s more. A hole has electric charge. It’s not too challenging, I think, to see that a hole must have positive charge. A hole is the lack of an electron – and if we take away an electron we take away a negative charge – equivalent to adding a positive charge. A hole also has mass. But is it positive or negative? That’s a bit harder to work through. Answer at the bottom of the post*. This was a sneaky way of trying to get six-year-old to do fractions in his head, though he was a bit tired by then. Fractional humps? What are they? Humps don’t come in fractions. Another case is the Fractional Quantum Hall Effect. This is not so easy to explain. Broadly speaking, the (non-fractional, or integer) Quantum Hall effect tells us that electrical conductance in the Hall Effect is quantized. You can’t manufacture any-old amount of Hall conductance; it has to come in units of e^2/h, where h is Planck’s constant and e is the elementary charge. This is actually a rather small number, equal to 3.87 times 10 to the power -5 siemens. But it is measurable. Very accurately measurable in fact++ Now, the Fraction Quantum Hall Effect says that in some situations you can get certain fractions of e^2/h as your conductance. Just what is going on is still the subject of research. So, fundamental lumps (or should that be “humps”) need not be so fundamental after all, and a three and three-quarter-humped Alice might not be so implausible. *Answer: A hole has positive mass. If we make a hole accelerate by applying an electric field, the hole will move in the direction of the electric field. (Because the electrons, being negatively charged, will move against the field, the gap they leave will move in the direction of the field.) A hole has positive charge, so the force the field exerts is in the same direction as the field. Therefore, since the force and acceleration are in the same direction, the hole must have positive mass. (But it’s not usually the same mass as an electron). +Answer: An up quark has positive 2/3 of e, a down quark negative 1/3 of e.
++So much so that the value of e^2/h will soon become precisely defined as part of the new S.I. system of units. The post Alice the camel appeared first on Physics Stop.